Gabriella is a witch. The problem is, she doesn't remember. She repressed the memories of her powers years ago when her mother was murdered. Now, the warlock who was responsible for her mother's death has set his sights on Gabriella. He is determined to use her fear to turn her to the dark side of magick…even if it kills her. Her mother's spirit is reaching out to warn her, but even that she pushes away. Desperate to save her daughter, the spirit finds a male witch–one that just happens to be in love with Gabriella. Darron is more than willing to help but the two young witches will have way more to battle than just an evil warlock. There are overbearing jocks and petty rich girls who get tempers flaring and often set Gabrielle and Darron at odds. 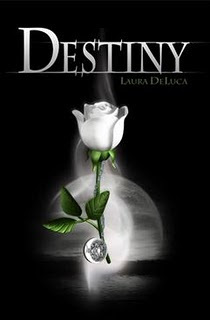 Laura DeLuca is the author of the young adult novels "Destiny", "Destiny Unveiled" and Phantom. BUY IT: You can buy this book for $14.95 at Amazon. Thanks so much for following. Good luck in the giveaway! Plenty of magick happening over at Laura's blog. Just signed up as an email subscriber to follow the trail, so excited! Thanks for the lovely giveaway. Thanks for subscribing! Good luck in the giveaway! I love the the blog, just signed up. Thanks for the giveaway! I visited Laura's blog and there're wow, so many giveaways listed there :D! Excuse-me this giveaway is international? 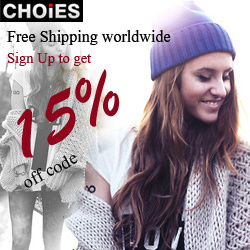 Yes, all the giveaways at my blog are international. I have been folowing Laura for quite a while. Both her blogs are quite nice! :) Blessed be! There are alot of cool giveaways! I really cant wait to read this book it looks really good. Its going on my TBR list right now! Following Laura's blog and thanked her for the giveaway. i have been a follower of Laura's blog. thanks for the great giveaway! I follow Laura Deluca's blog and checked it out! I love Laura blog's design. Thanks for another author for my daughter. She is 15 and loves to read. Thank goodness for contest and libraries or I would have to get a second mortage. The Young Readers authors are very good. giveaway that I enter. Thank you for this awesome giveaway. I am a GFC follower of her blog. I'd love to win and read her book! I've been a follower of her for a while now. Thanks for the giveaway. Laura is a creative and imaginative writer. Looking forward to her future publications. I follow her GFC and email. like her blog, I follow her! I love her blog. I visit it when I have the time! I visited her blog! Thanks. I so totally want to read Phantom!-I'm so obsessed with the musical, and I think it's a great twist on it, especially for teens :). Whoot! Whoot! I sooo want to WIN! Laura has a nice blog, mobile wise. I have followed her blog since it first was created and follow her blog, New Age Mama, too! I have been trying to win a copy of her book since it first hit the market too! LOL Thanks so much for the chance! OOO and I am also going to enter her current giveaway celebrating her new book cover! Great blog with lots of great giveaways. I like the book cover for "Destiny"! I have been following Laura for a long time and I love her blogs. She is one of those people who makes you smile.